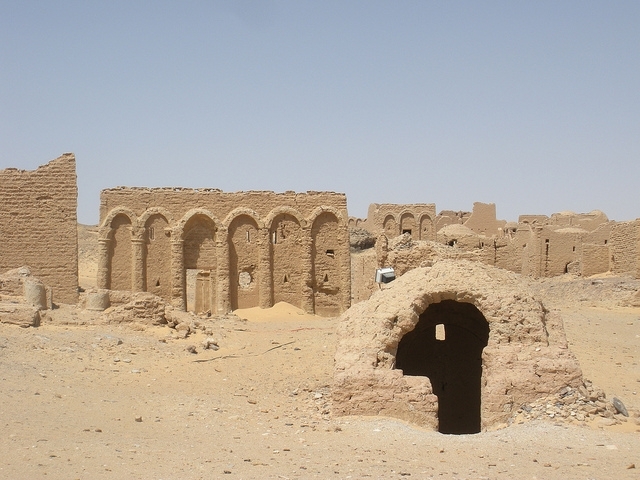 The cemetery of Al-Bagawat was used as a burial place contains 263 tombs in the shape of domed chambers dates back to the 4th through 6th centuries, A) In the center is a church dating back to the 11th century A.D. 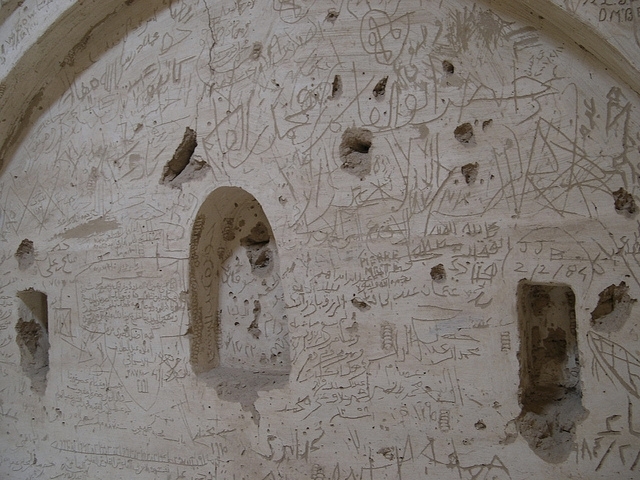 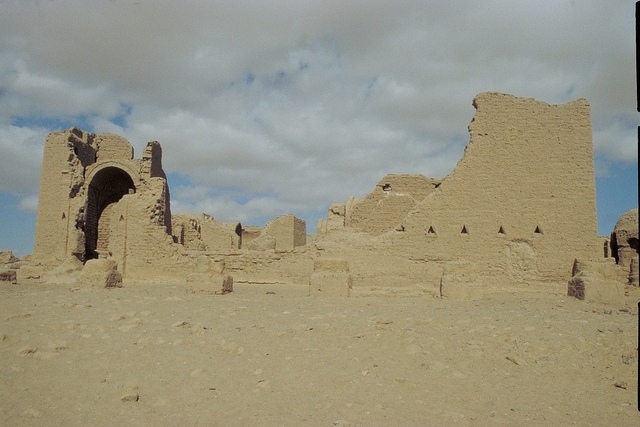 It is regarded as one of the oldest churches in Egypt. 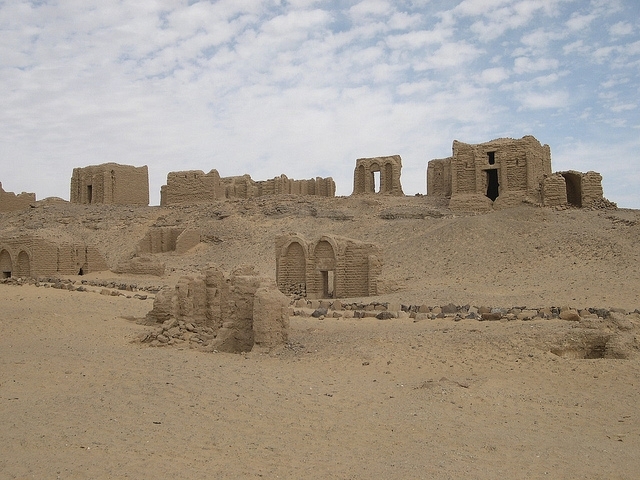 The Temple Of Al-Ghuwaytah is dedicated to the Triad and dates back to the 27th Dynasty. 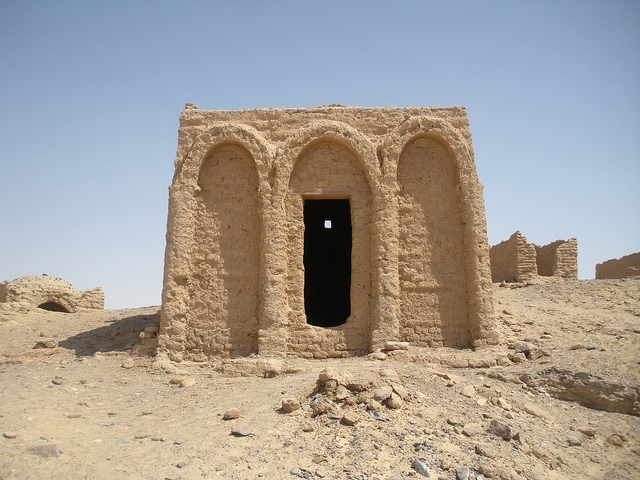 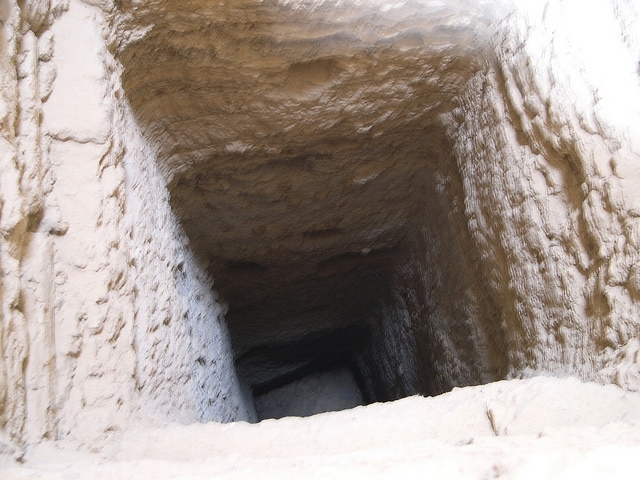 There is a Coptic Christian cemetery containing hundreds of tombs dating from the 4th to 6th century AD.This structure served as a church within the Necropolis of Al-Bagawat. 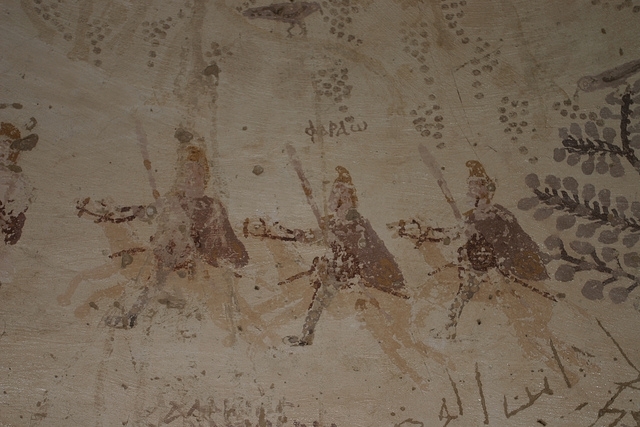 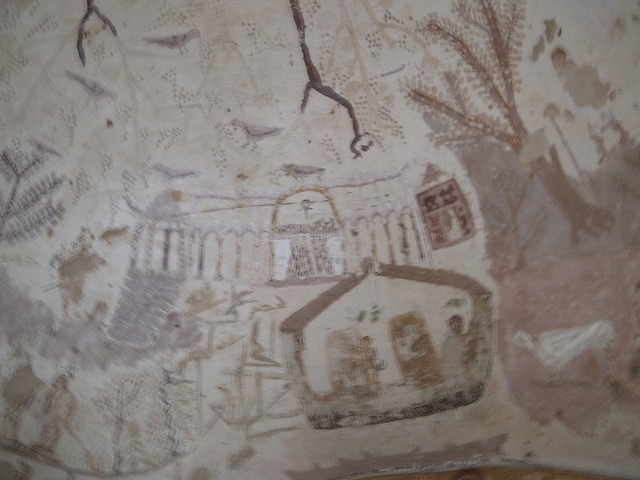 A mural on the ceiling of one of the chapels within the Necropolis of Al-Bagawat.Many of the Coptic Christian murals are very well preserved, including one showing Moses leading the Jews out of Egypt. 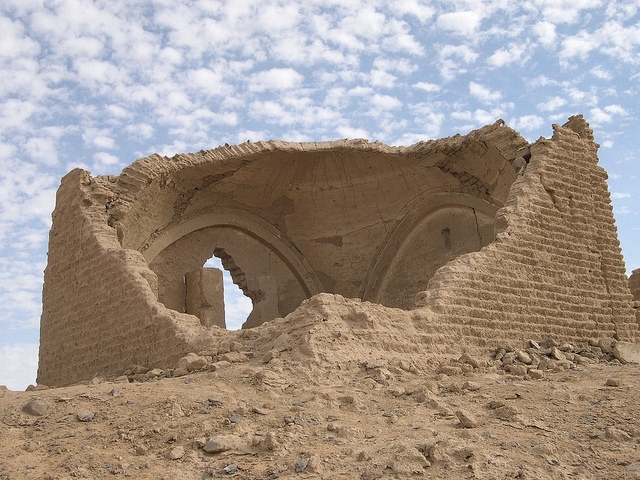 These ruins actually predate Christianity and consist of both pagan and Christian temples, chapels and burials. 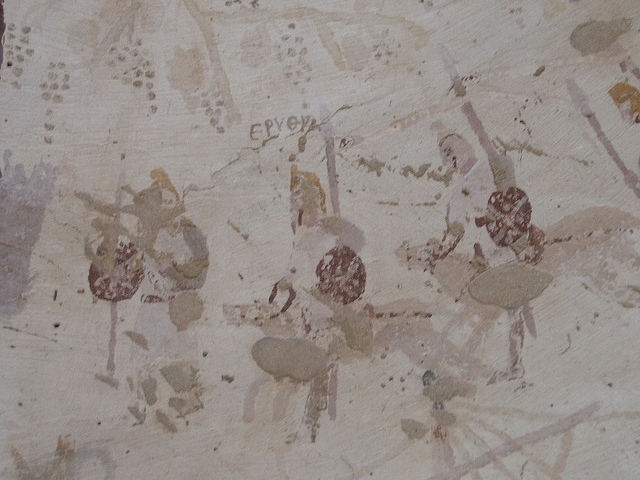 They date from between the 2nd and 6th centuries. 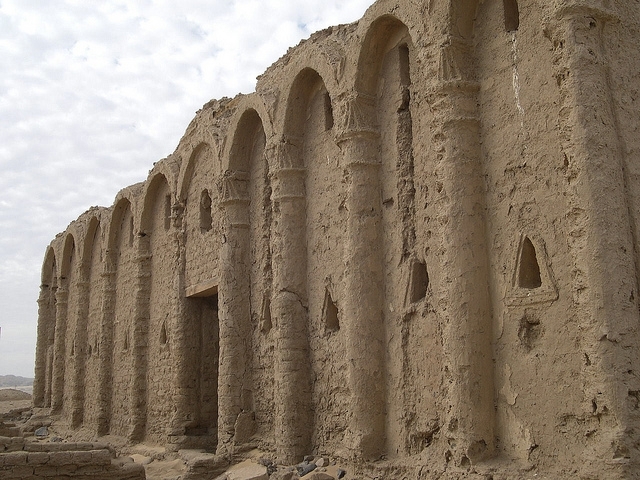 However, this is considered to be one of the earliest and best preserved Christian cemeteries in the world.